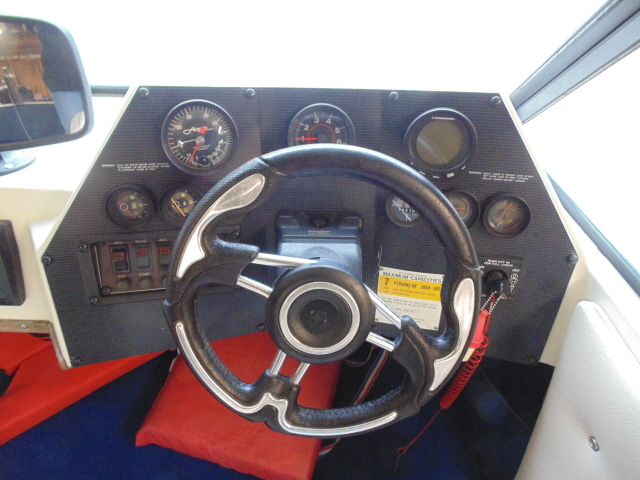 I decided to update my 1987 Hydrodyne to Evinrude Digital Shift and Throttle. 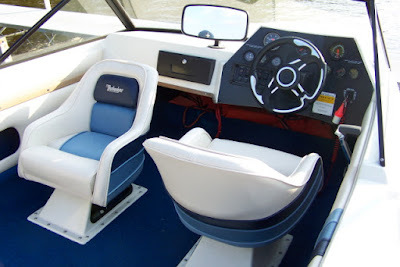 I had all the stuff we needed that had been taken off a demo Dyna-Ski boat and I don't like reusing used rigging parts and pieces on new Dyna-Ski Boats. The old System Check Rigging is going on a nice original style 18' Hydrodyne I also own. restored in our boat shop several years ago. redoing the side panels & newer style rear bench seat. Floor and transom did not need attention. I wanted to retain as much as I could of the original gauges some of which are original to the 17.6 Hydrodyne I bought new thru a dealer in 1987. I've lost track of how many times I have repowered my family ski boat. Since I can, I do every year now. 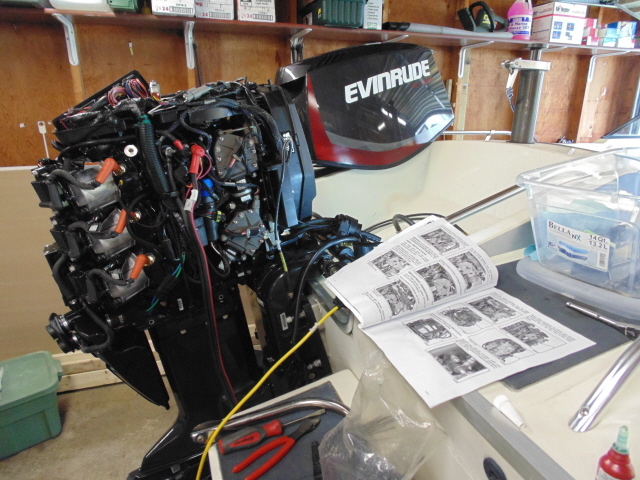 Some lucky Dyna-Ski customer gets a used one summer 150 HP Evinrude E-Tec motor from my old trusty Hydrodyne on a new Dyna-Ski boat. 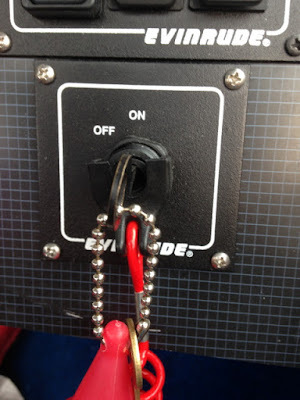 Many years ago I changed the motor controls from the old box style to an Evinrude recessed binnacle control. Evinrude came out with a new and improved recessed control so I upgraded maybe 5 years ago. So this is the fourth time the control has been changed or upgraded. Quite awhile ago I had installed tilt hydraulic steering to replace the original dual cable steering along with a now rare pair of 60 MPH Air Guide Speedometer to replace the 50 MPH ones I cold peg. 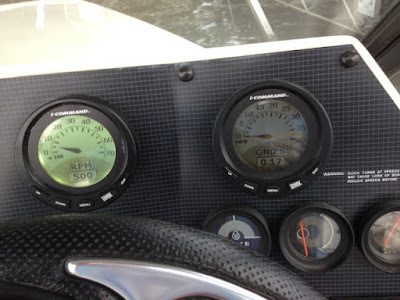 The first GPS Speedometer in my boat was a Livorsi Water Ski Speedometer which replaced one of the Air Guides and worked quite well for many years. 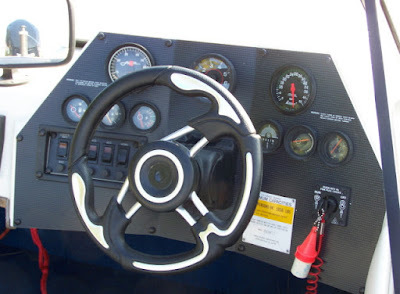 Eventually it died one day out of the clear blue sky after it was out of warranty of course so an Evinrude GPS Speedometer wired stand alone replaced it. So now it was time for another upgrade of the now 28 year old boat. Changing to digital I Command isn't cheap. It is about a $4000 option on a new Dyna-Ski and customers report spending $6500 to have a dealer do the upgrade. The change over takes a fair amount of time. I'll guess about 8 hours in the shop for one experienced mechanic. The recessed control is different although it looks the same. 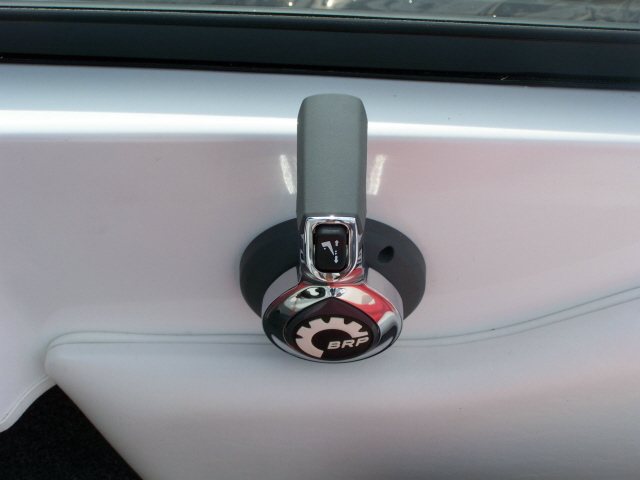 A different key switch and a panel with three switches is added to the dash. The wiring from the dash to the motor is changed. Old cables are removed obviously. The mechanical shift and throttle linkage on the motor are removed and replaced with actuators. The small block V-6's (135 HO, 150, 150 HO,175 and 200) use one model of actuator. The big block 200 HO and up use another model. A laptop computer with special software and cable needs to be used to calibrate the system for a couple functions. It isn't a do it yourself project by any means. We ended up replacing the system check tachometer with an 3" digital gauge matching the one used for GPS Speedometer. My ace mechanic determined keeping most of the old gauges working was easy. He simply changed the 12 volt DC power wiring under the dash so the analog fuel, oil level, voltage, hour and water pressure gauges would work. 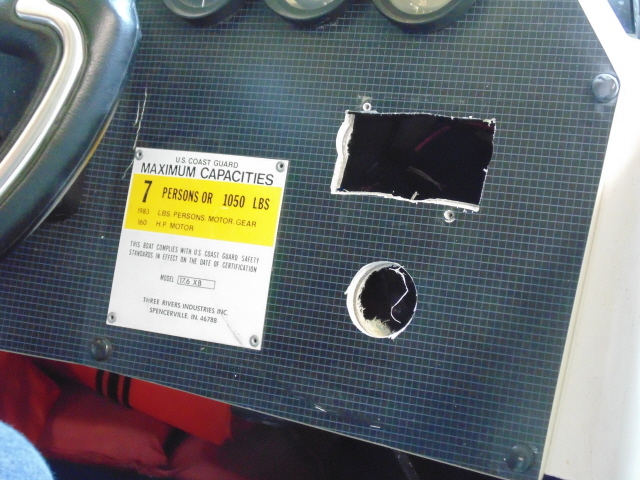 I will be replacing the analog trim gauge with a 2" digital gauge to monitor motor trim. No way to keep the old trim gauge it seems. Oh well but there is a lot more engine data available if one wants to check or monitor it. The new controls take a little getting used to. The feel or tension of the control is adjustable but not easily but with no cable friction the feel of the control never changes ever! There is more travel in forward so the throttle does need to be advanced more to get the same acceleration as the old analog control with cables did. It is more responsive in reverse than the old controls so we are backing up quicker right now. One caution is: Remove your hand from the control if a big wave is coming. When you hit the wave you will change the throttle. Sometimes a lot. BEWARE! The nice thing is small changes can easily be made with the digital controls with adding or slowing 50 RPM's now so easy to do. The three new buttons on the dash are left to right. Start/stop, in gear and throttle bump up or down by 1%. After a couple hours a person does not even think about them any more. The brain is an amazing thing. Not sure if we like the "BUMP" switch. WARNING: The digital controls are awesome. Once you try them you may fall in love. Keep in mind the new G2 Evinrude motors come with digital controls standard. 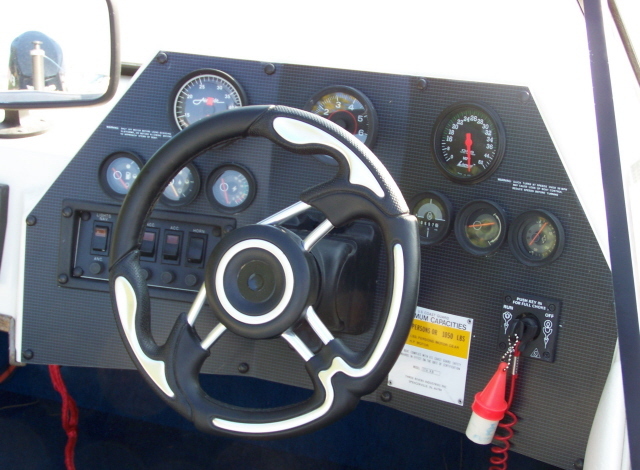 The G2 motors cost more than the E-Tec but the controls cost less than converting the regular Evinrude motors to digital controls they say. I have a couple G2's on a twin. 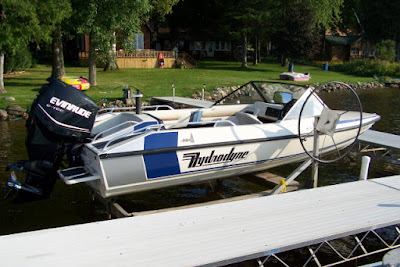 I'll try to get the guy driving the Dyna-Ski Boat with the twin G2's to give us his thoughts and I'll try to do the same with the guys driving G2 powered new style Dyna-Ski triples as well so keep checking back from time to time here. 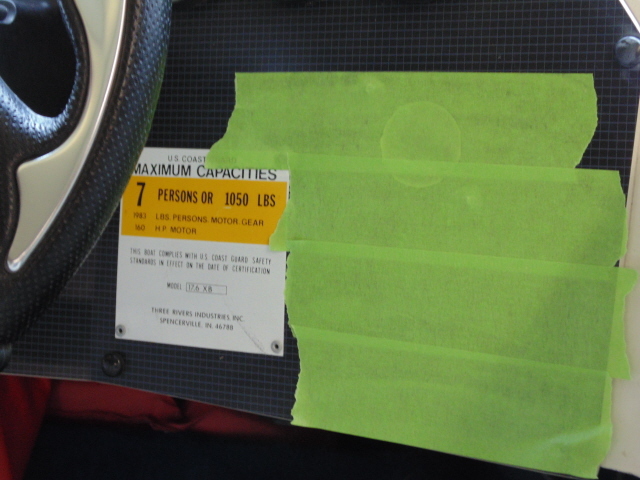 Used tape to mark and protect dash while cutting new holes. Holes ready for switches and key. On/Off Switch and 3 function buttons carefully installed in 17.6 original dash. Evinrude E-Tec Small Block (135 HO-200) ready to remove mechanical linkage. 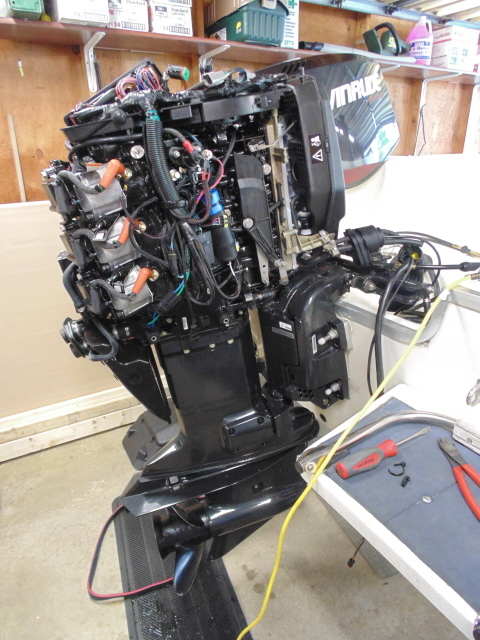 Evinrude E-Tec Small Block (135 HO-200) with digital actuators installed.